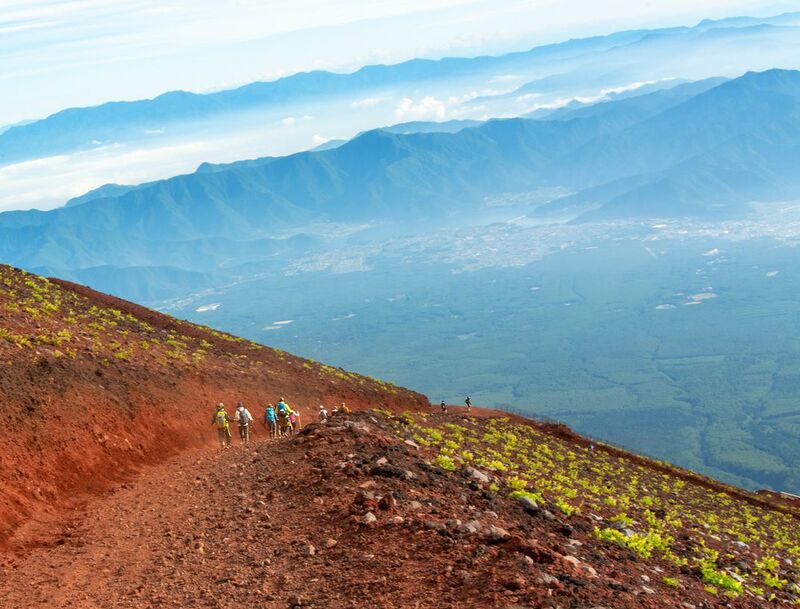 A photo of colorfully-dressed hikers dotting Mt. Fuji as they descend. Date Uploaded: Aug. 12, 2018, 6:07 a.m.